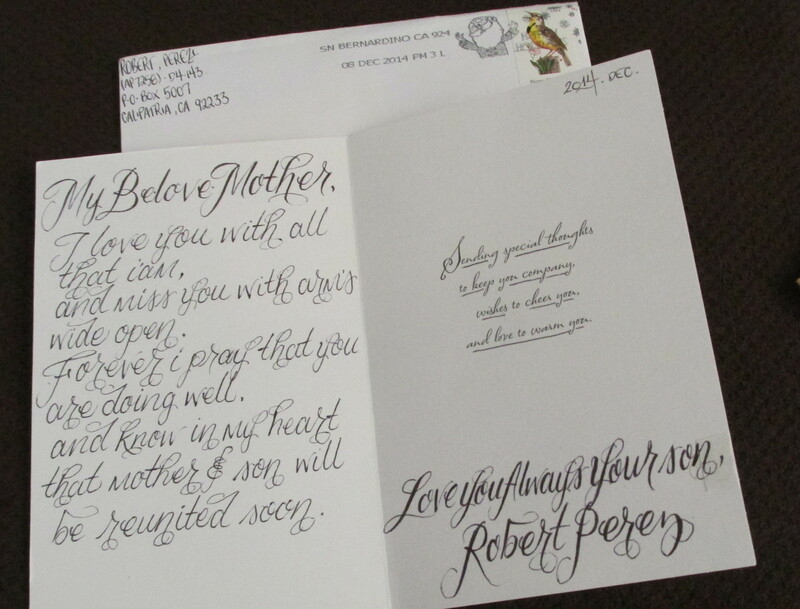 Last year, Irene Soto visited her son, Robert Perez, at Calipatria State Prison for the first time. She had never been to a prison before. 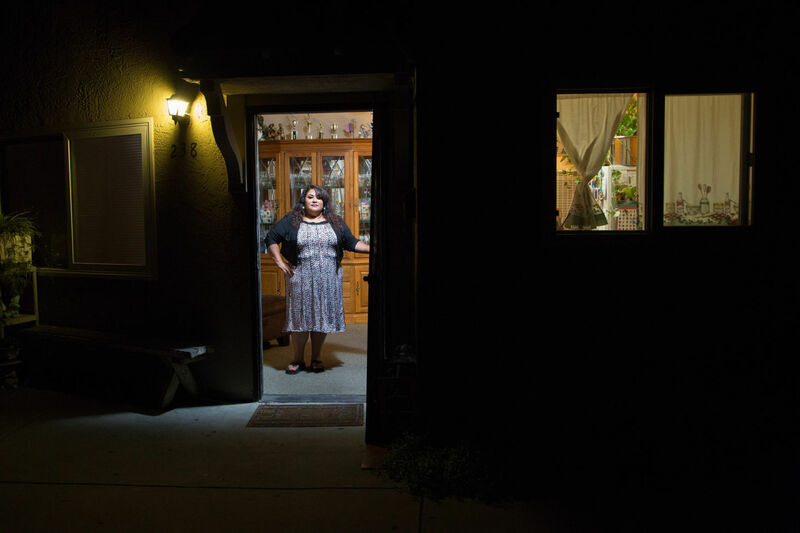 "It was scary," she says, sitting in the living room of her San Jose home, surrounded by pictures of her son. "It was a nine-hour drive down south -- literally 10 minutes to the Mexican border." "I had to go through these detectors and you gotta take off your earrings," she says. "You can’t wear certain clothes. If it beeps you gotta come out and they gotta do a body inspection. It’s humiliating, it’s degrading. They treat you like we’re the criminals." Before he arrived at Calipatria, Soto’s son -- who is now 36 -- spent about five years in Santa Clara County's main jail awaiting trial and a sentencing hearing. She could see him only through a wall of Plexiglas. Soto sits in her living room with a box of letters that her son has written to her over the years. She says she gets about four letters a month. "He always starts off with, ‘Mi querida madre,’ " Soto says. It means "my beloved mother." He always ends his letters with the title of a song that reminds him of her. She holds up a letter from her box. At the bottom Soto has written out the title of a song: “Ni por Mil Puñados de Oro" by Antonio Aguilar. Soto and her son weren’t always close. She stopped talking to him when he started getting in trouble with the law in his late teens. Then she found out through one of her friends that Robert had been sentenced to prison for making criminal threats. He was 20 years old. That was his first strike. At 23, Perez received his second strike, this time for robbery. 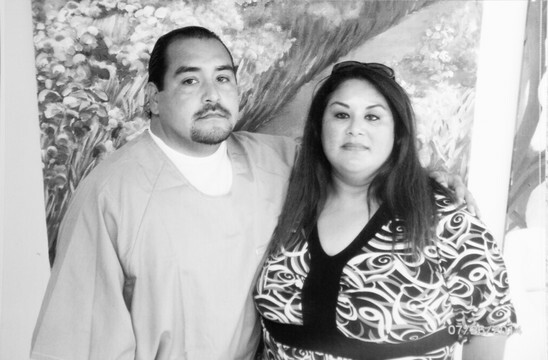 After he was paroled in 2007, Perez and his mother began to rebuild their relationship. But a little more than a year later, he was picked up on a 43-count indictment, a result of his past membership in the Nuestra Raza, a street gang affiliate of La Nuestra Familia prison gang. Perez received his third strike for participation in criminal street crime. Perez got married to his girlfriend in jail, but she left him shortly after he was convicted. His mother has supported him ever since. Irene Soto is not alone. A recent report by the Ella Baker Center for Human Rights and Forward Together found that it is women who most often bear the financial and emotional burdens of a loved one’s incarceration -- including the costs of staying in touch. Alicia Walters is movement-building director at Forward Together, where she, along with a group of researcher,s surveyed more than 1,000 former inmates and their families. “Already vulnerable families and the women who sustain them are being dragged into deeper poverty, stress and strain when their loved ones are incarcerated,” she says. To make a weekend visit, Soto -- who is a preschool teacher -- takes a week off so that she will get vacation pay. The extra money helps her pay for gas for the 500-mile trip, three days for a motel room in El Centro, and for any food she buys for her son at the prison. That adds up to more than $600. She says it takes her at least six months to save. “I start saving from my taxes, and then a little here and there on my paychecks,” she says. She worries about paying her bills, but she doesn’t want to stop seeing her son, talking to him on the phone or sending him care packages every three months. The calls and packages go through pre-approved vendors who often add processing fees. A package consisting of hygiene products and some of Perez's favorite treats -- Doritos corn chips and chocolate creamer, among others -- cost her $110 this month. Her best friend lent her $80, to cover the cost of the treats. "I'll do whatever I can to just give him that little bit of enjoyment," Soto says, "to make his stay over there just a little bit better." This month, she says she was about $150 short and had to borrow money to pay for electricity and some credit card bills. Kristina Khokhobashvili, a California Department of Corrections and Rehabilitation spokeswoman, says she understands the financial struggles faced by inmates’ families. Back at home, Soto finds a CD full of the songs her son mentions in his letters. She likes to listen to music and read her son’s letters when she feels sad or lonely. She says she feels as if she’s doing time right along with him. Soto hopes to see her son again soon, but her hours at work have been cut back. So for now, she can’t afford to visit.